How to insert bullets in to cells in Microsoft Excel ? 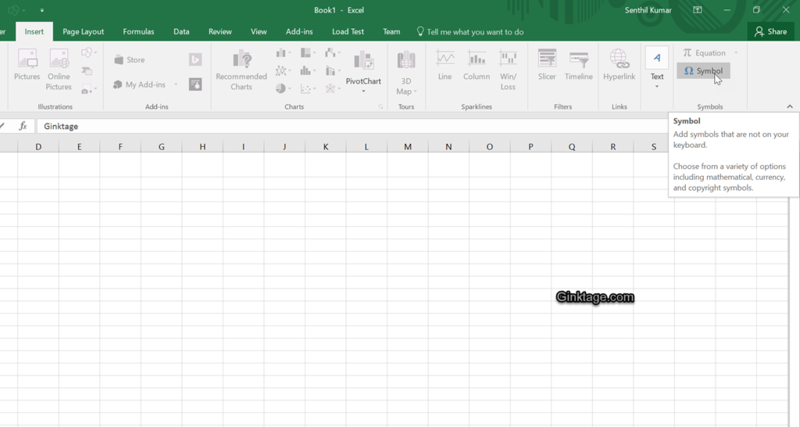 Do you want to insert bullets in cells of Microsoft Excel?. Here’s how you can do it. 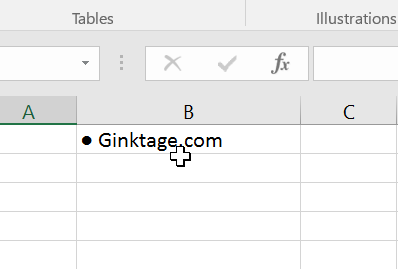 You can use the mimic symbol in cells which might replicate the bullets in Excel. 1. Double click the cell where you need to insert the symbol and place the cursor in the position where the bullet needs to be inserted. 2. Navigate to the Insert Tab and click “Symbol” button. 3. 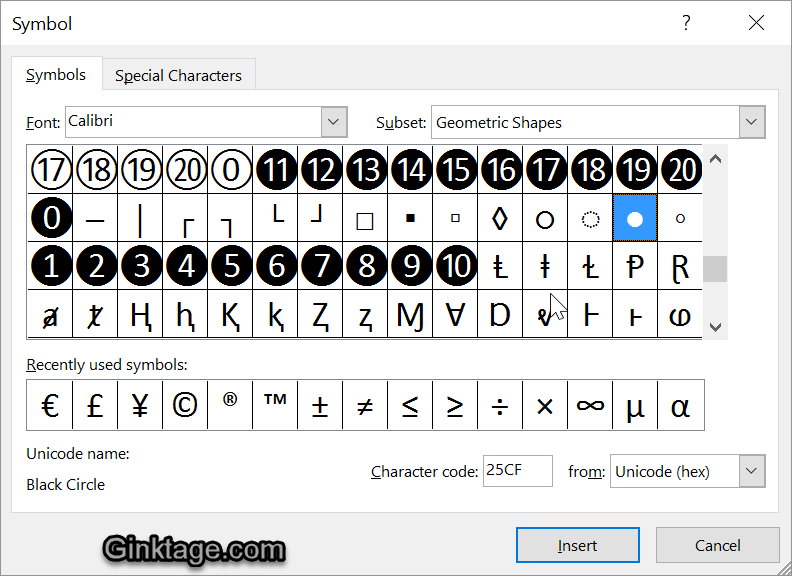 In the Symbol dialog, select “Calibri” font from the Font drop-down list and the select “Geometric Shapes” from the subset dropdown list and select the symbol . (Black Circle) and then click the Insert button. This would insert the symbol to the active selected cell.